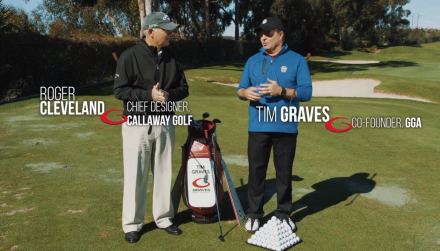 First, I want to say, I believe the lob wedge is one of the most important clubs in your bag. In fact, I believe it is the 3rd most important club in your bag (refer to past e-tips for #1 (Putter) and # 2 (Driver). Forged type club (the softest material in a wedge that helps create spin and a very soft feel at impact – allows for the ball to land softly on the green). C – type grind on the sole of the club. This grind on the club allows to hit off of all different surfaces (soft, hard, etc..) and allows for different ball positions instance to hit low to high (lob) type shots. 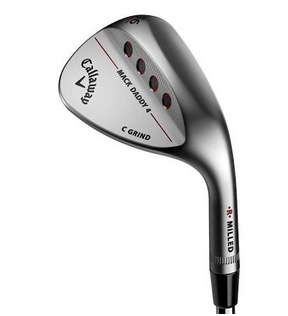 The C type grind on the sole keeps the leading edge of the club low to the ground when the ball position is “pushed forward” for higher / lob type shots. Medium to Wide sole on the club – the wider the sole – the easier it is to “slide” across tight lies. Needs to have swing weight heavier than most clubs in bag besides the sand wedge (swing weight typically between D-4 and D-6) – most lob wedges are built this way as the added weight helps cut through many surfaces (high grass, sand, etc..) and helps create better “feel” around the greens. Steel shafted – (if possible). Again – the weight helps as described. Slightly rounded leading edge on the club – only slight, but this slight rounding also helps cut through different surfaces. For a full shot, (for many ranges from 30 to 60 yards, maybe slightly longer) – the ball is placed in the middle of the stance and swung with a good on the plane single plane swing. (Like any other club in the bag – ball position center of stance). The ball is placed slightly forward in the stance (forward of center). As higher you want the ball – the more forward you put in the stance. The weight (body’s weight distribution) is 50/50. You do not put more weight on the lead foot. Stance is slightly open – about 10 to 20* at max. The hands are slightly ahead of the ball at set up. Choke down slightly for more control and better feel. You swing the club with VERY soft hands. This means light grip pressure on the club. You work on the fold/fold type swing. Meaning you fold your trail arm in the backswing and lead arm in the through the swing. Nice and easy…. You accelerate through the shot – your hands should finish at shoulder level or above. If you think the swing is too long for the shot – shorten the backswing, but still keep a solid and extended through the swing. Swing toward the hole – as Moe said: “Try to pull the flag out with the head of the club”. This was his analogy of making sure the club is swung down the line toward the hole. Make sure the weight is evenly distributed throughout the shot and the feet stay down throughout the shot. Ball position – as forwarding instance as comfortable. Off lead heel or further forward is good. The weight distribution is still 50/50 or slightly toward the back foot. Keep weight balanced throughout the shot. The club slides under the ball… Think of sliding under the ball rather than hitting down on the shot. Weight transfer – you need to keep your weight back to center during the shot – exaggerate this as much as possible. It is almost impossible to get the club to slide under the ball if you are transferring your weight too much forward. SOFT HANDS – if you think you have lightened the grip pressure enough – do it some more. The softer the grip pressure the easier it is to fold/fold in the shot which brings consistency and great feel with this shot. 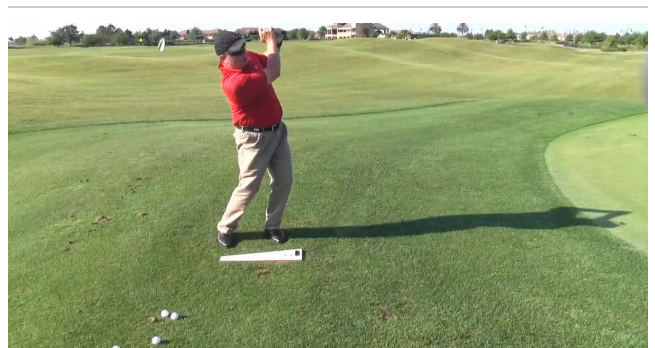 Acceleration – shorten the backswing enough that you feel you need to be pretty aggressive in the through the swing. A backswing that is too long creates deceleration in the through swing which leads to fat and/or thin shots. The swing toward the hole – great area to practice on swinging toward the target. Chances are if you are coming across your full shots (cut/slice) you are also doing the same in your pitching/flop shots. In a good high pitch/flop shot the ball should land relatively soft on the green with minimal roll. In fact, if you listen to the shot, you will hear a “thud” when it hits the green. A good shot comes in soft, has minimal role… many pros call it landing like a “butterfly with sore feet”. Hopefully, this helps those who are looking to help their short game – especially that all needed lob shot around the green. Please feel free to contact me at timg@moenormangolf.com with any short game questions, questions about your wedges or any other club fitting questions. I really like the verbal sequence you use as opposed to just video as most use. I need both. Thanks. Glad you liked it Ken! do you change the face angle when hitting flop shots? We always keep the club face square to the target. In order to hit a flop shot, we move the ball position way forward in the stance which maximizes the loft on the club. From there, we use a regular pitch type motion keeping the backswing short with angle and accelerating through to a full finish which gets the ball up quick in the air and lands softly on the green. Thank you for the very informative post on a most necessary shot. Very helpful! Glad you enjoyed it Con!